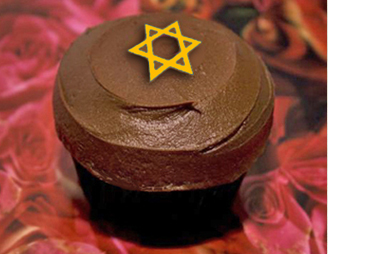 This Rosh Hashanah (Jewish New Year) cupcake is from Lola's Kitchen in the UK, who I will have more about soon, but for the moment, I just wanted to wish all our Jewish readers a Happy and Sweet Rosh Hashanah! The holiday started last night and marks the beginning of the year 5769. I LOVE Lola's cupcakes!! One of the best in London!